Charcoal face washes are all the rage right now. And why wouldn’t they be? Whether you have stubborn blackheads or a breakout, this sludgy black substance can deal with any skin issue. Usually, charcoal face washes contain activated charcoal that absorbs all the dirt, oil, and gunk that is built up on your skin. When you wash it off, it leaves you feeling clean and oh-so-fresh. 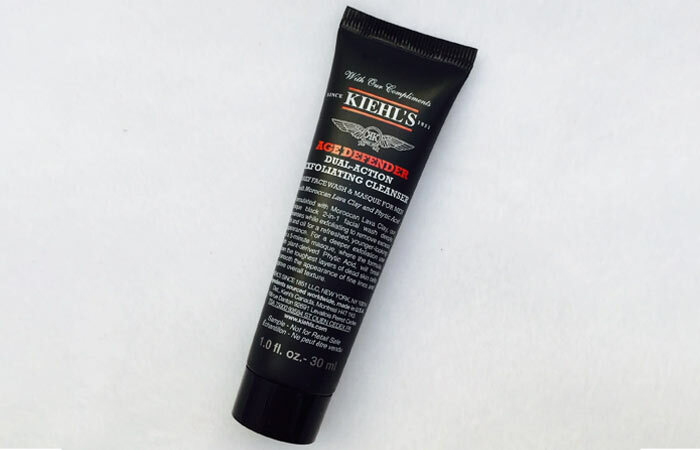 If you haven’t tried a charcoal face wash before, what are you waiting for? Here are some of the best charcoal face washes available in the market right now. Take a look! Oily skin and acne are a match made in heaven. Not anymore! 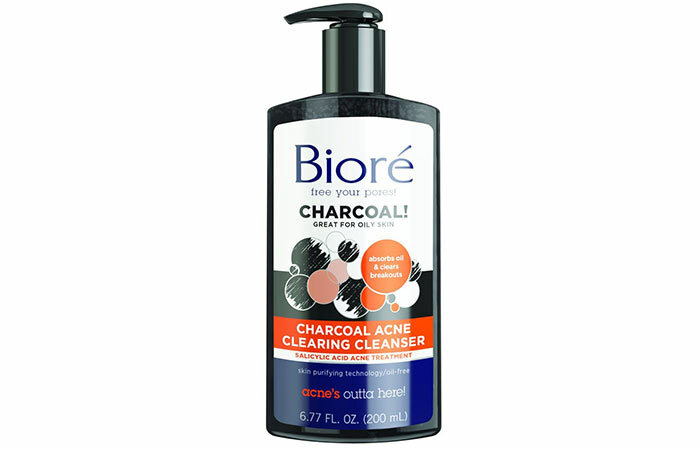 This charcoal face wash by Bioré is made especially for oily skin. It gets rid of acne and blemishes from your face. It contains salicylic acid and is developed with an effective skin purifying formula. It claims to eliminate acne in just two days! 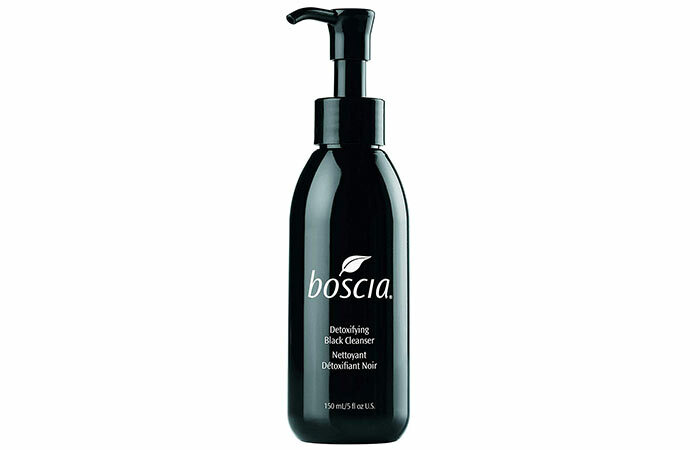 It doesn’t matter if you have sensitive, dry, or oily skin – this charcoal cleanser by Boscia is an excellent product for all skin types. It not only clears all the dirt and oil from your face but also brightens your skin. It claims to even out skin tone, tighten pores, and exfoliate the dead skin cells. It contains Alpha Glucosyl Hesperidin (a compound found in citrus peel), licorice root, artichoke leaf extracts, and glycolic acid. If you want an all-natural cleanser, you need to try out this one by Safe House Naturals. 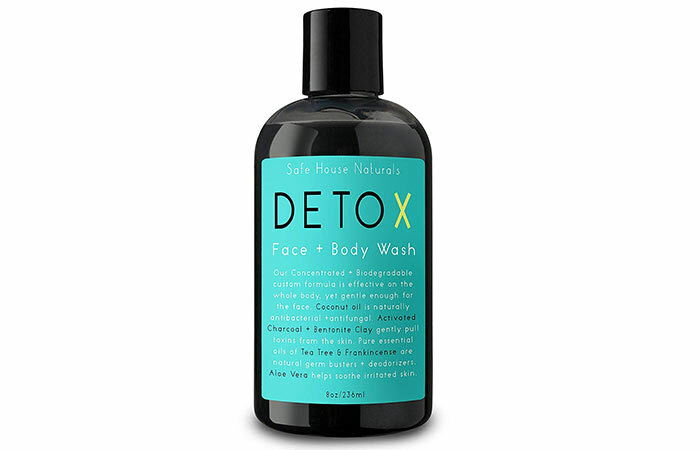 It is a completely organic face and body wash containing activated charcoal. It is formulated with a powerful blend of essential oils, bentonite clay, aloe vera, and coconut oil that exfoliates your skin and cleanses it thoroughly. It also has antifungal properties that help in calming down rashes and other skin issues. 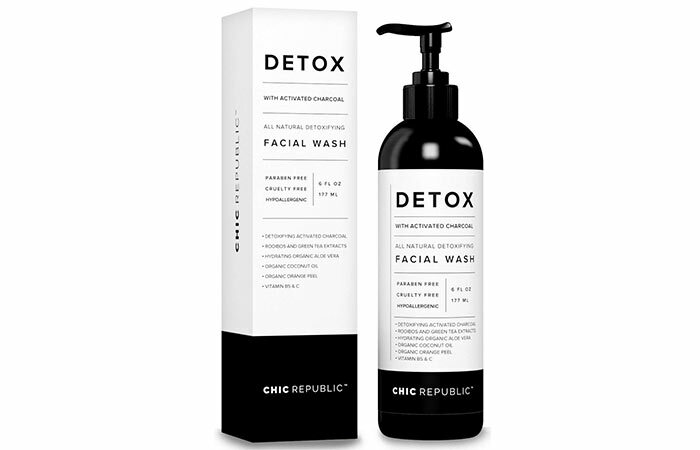 Besides activated charcoal, this Detox face wash contains triple-tea extracts. Both of these components work as natural exfoliators and antioxidants to protect your skin. It also has moisturizing properties that keep your skin hydrated. Moreover, it is a 100% natural product. This face wash claims to clear acne breakouts without harming your skin or drying it out. 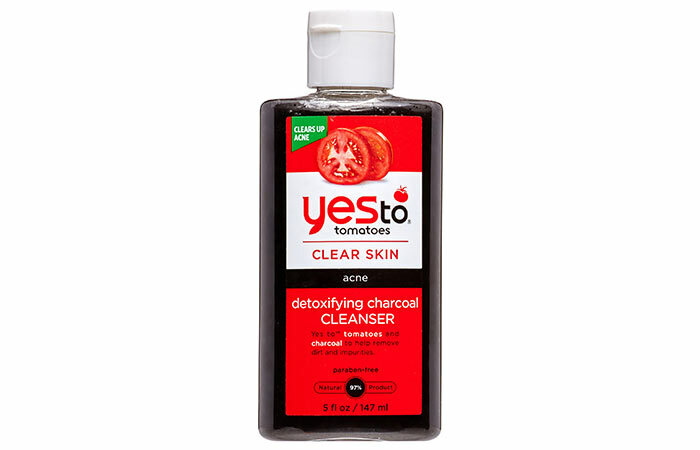 The two main active ingredients of this product are charcoal and tomatoes. These two ingredients not only clear your skin but also calm it down. It deeply cleanses your face and makes it brighter. 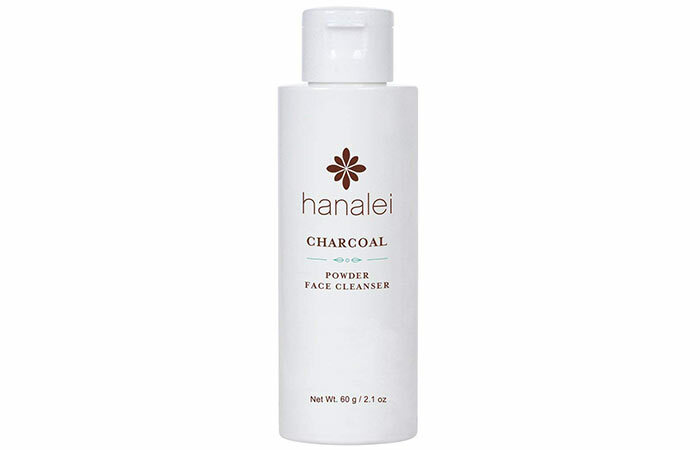 This face cleanser by Hanalei is a water-activated product. You need to pour it into your hand, add water, and rub both palms to create lather. It contains activated charcoal that eliminates dirt and impurities. It brightens your complexion without harming your skin. It contains essential amino acids and vitamins A, C, and E that protect your skin from free radical damage. Chilogy Cleanse Charcoal Face Wash is made of ingredients that are rich in antioxidants. It contains organic orange peel, sunflower oil, olive oil, aloe vera, coconut oil, and white and green tea extracts. These ingredients clear your skin, hydrate it, and rejuvenate skin cells. All of this keeps your skin looking plump and firm. 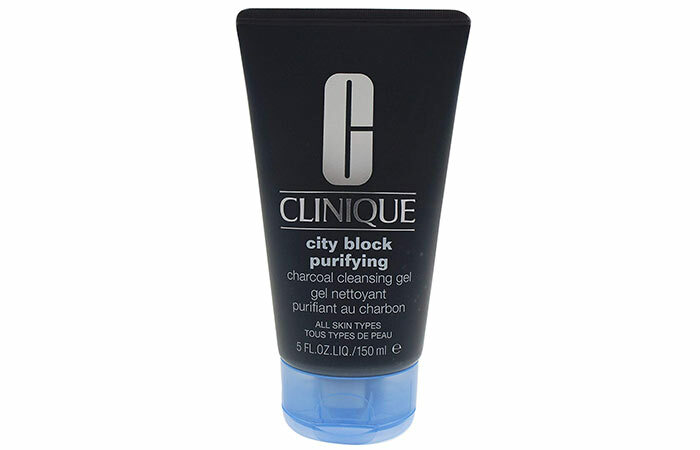 This 2-in-1 face cleanser contains charcoal and Moroccan lava clay. It deeply exfoliates your skin, removes dead skin cells, reduces fine lines, and improves your skin texture. It can also be used as a face mask. Just leave it on your skin for 5 minutes and wash it off for deeper exfoliation. This facial cleanser by Clinique is excellent for daily use. It has a pore-cleansing and detoxifying formula that removes all traces of dirt and pollution from your skin. The charcoal present in the cleanser draws out all the impurities and excess sebum, leaving your skin refreshingly smooth. 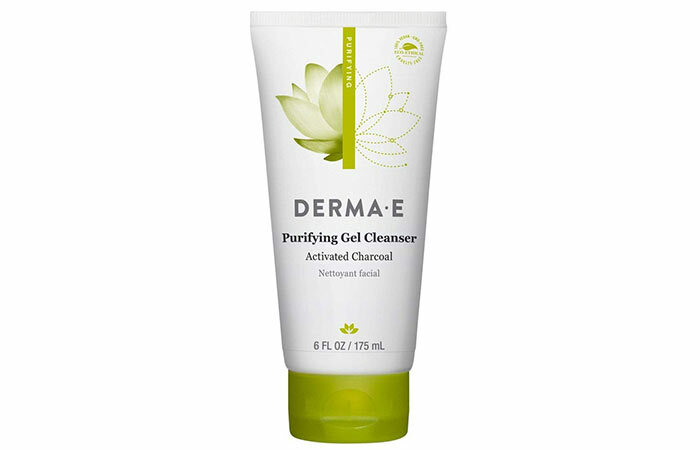 This facial cleanser is perfect for daily use and gentle enough for sensitive skin. It unclogs your pores and detoxifies your skin. Besides activated charcoal, it contains Japanese marine algae extracts. This ingredient is clinically proven to protect your skin from environmental damage. 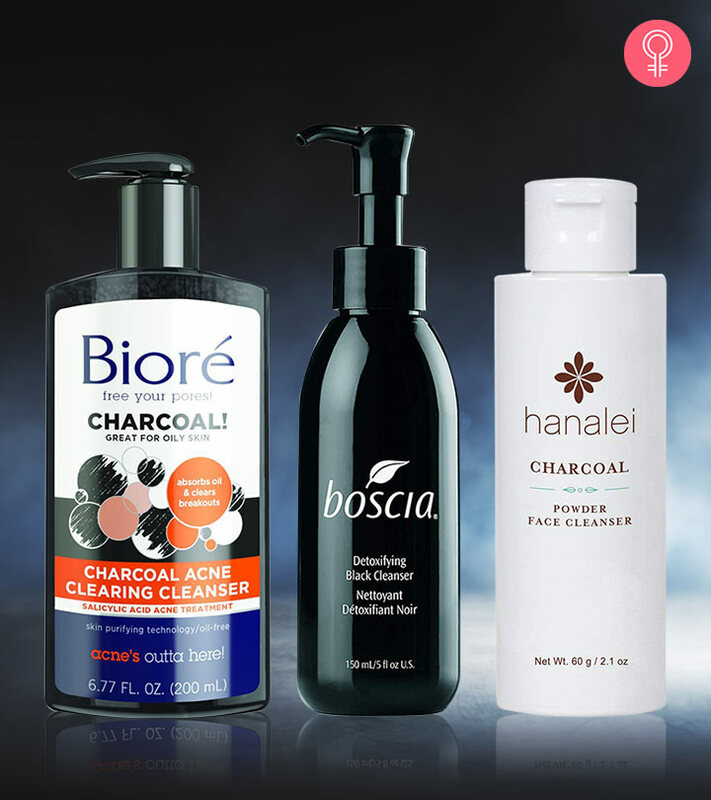 If you haven’t experienced the goodness of charcoal cleansers, this is your chance. 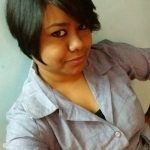 Pick any of the products mentioned in this list, and I guarantee you will not regret your choice. 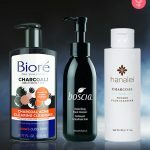 Have you used any of these charcoal cleansers? Which ones from this list would you like to try out? Share your feedback in the comments section below.